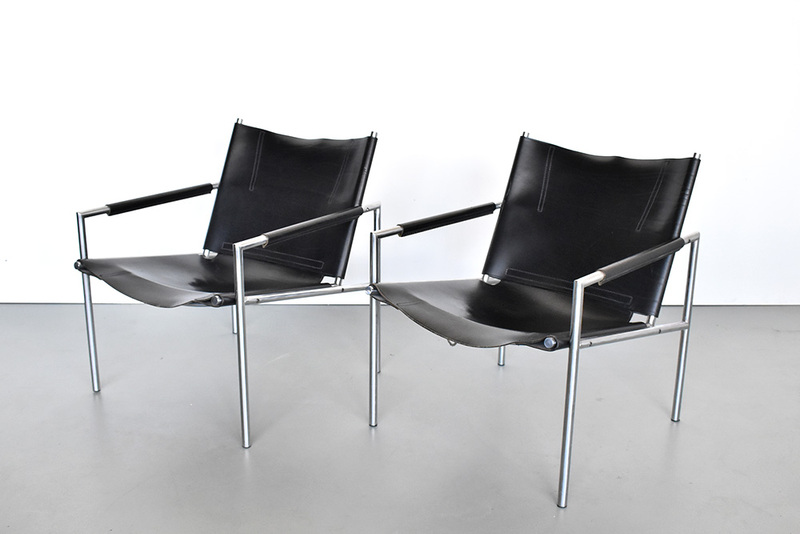 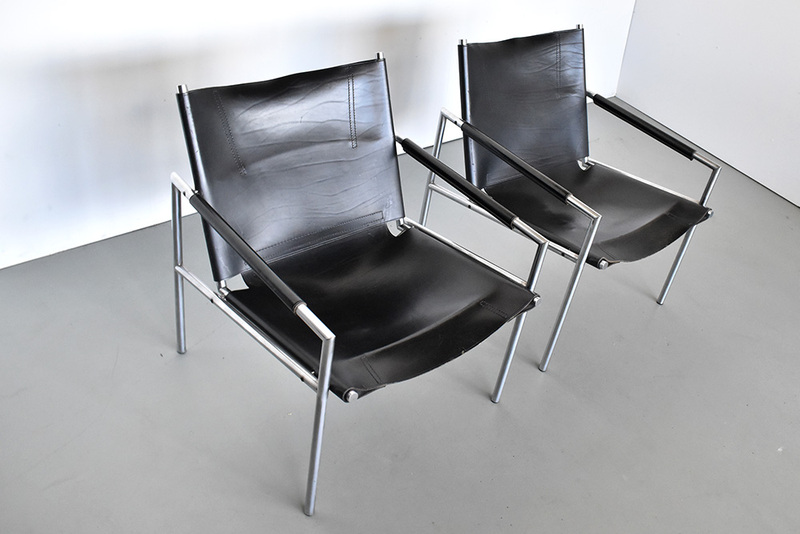 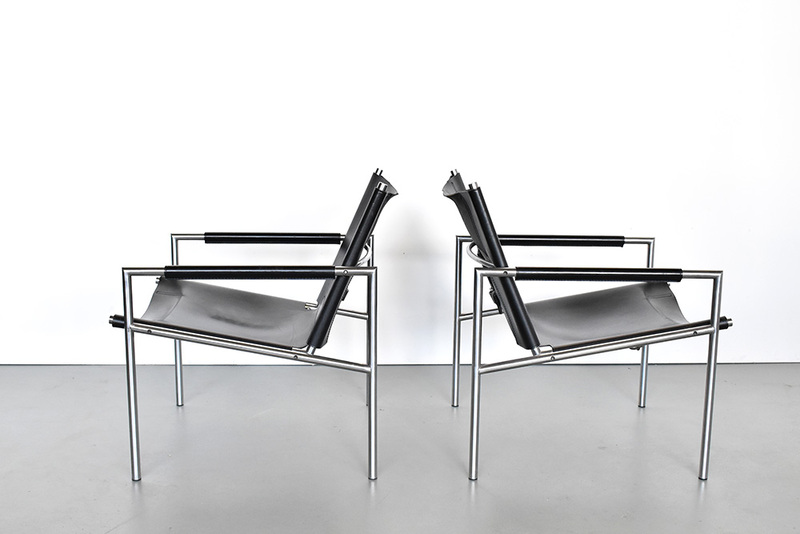 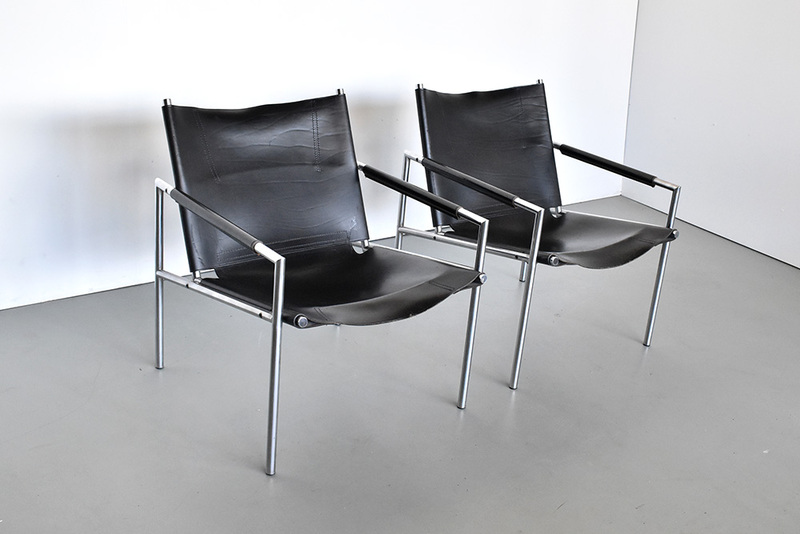 Stunning pair of lounge chairs designed by Martin Visser, Model ‘SZ02’ for ‘t Spectrum Bergeijk, Netherlands produced in the late 1980s. 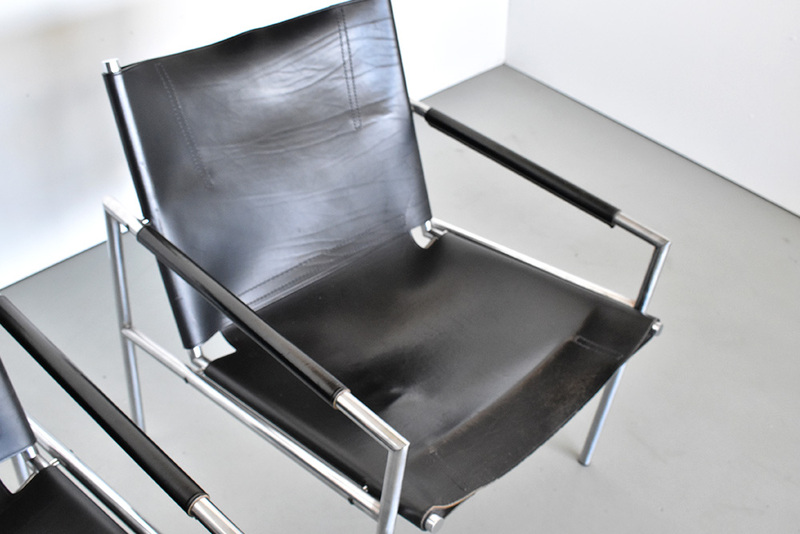 Original black patinated leather on a chrome steel frame. 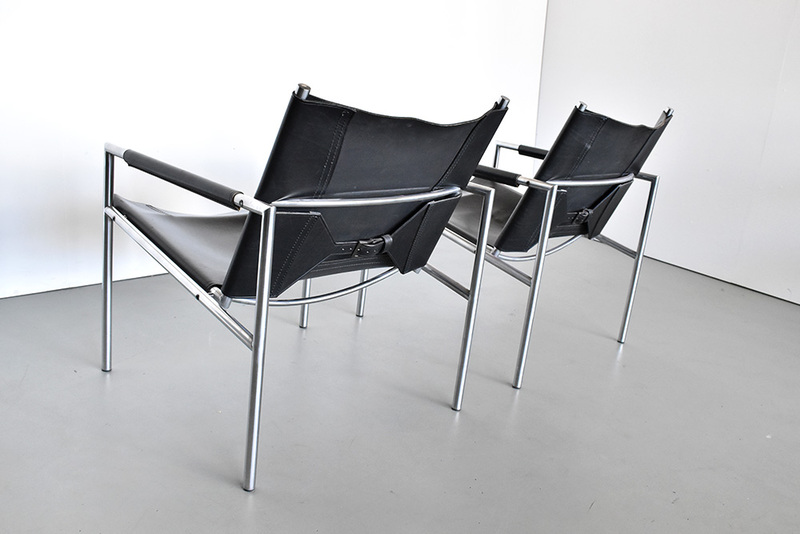 OBJEKT Vintage Furniture © Copyright 2018.